What the dinges are you eating? 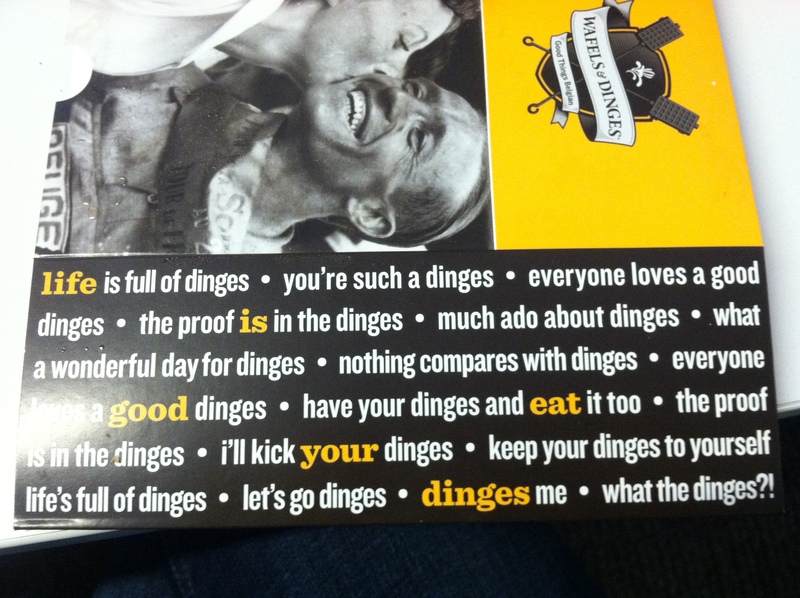 “Dinges” translates to “the crap on top,” according to the wafels & dinges man. Our walk back from the dinges truck was filled with dinges. 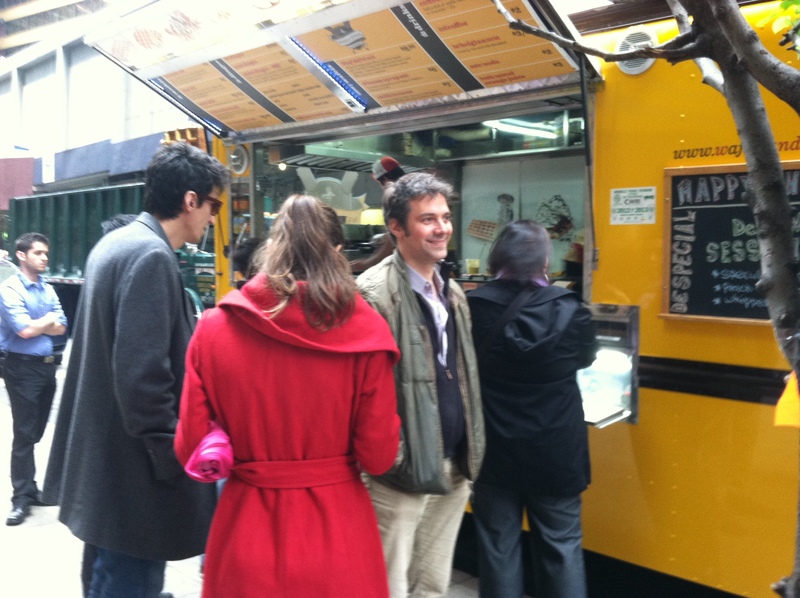 “Enjoy your dinges,” I called to Maggie and Sergio, who were going to eat theirs outside. “A couple should have their dinges in private,” Matt chimed in. 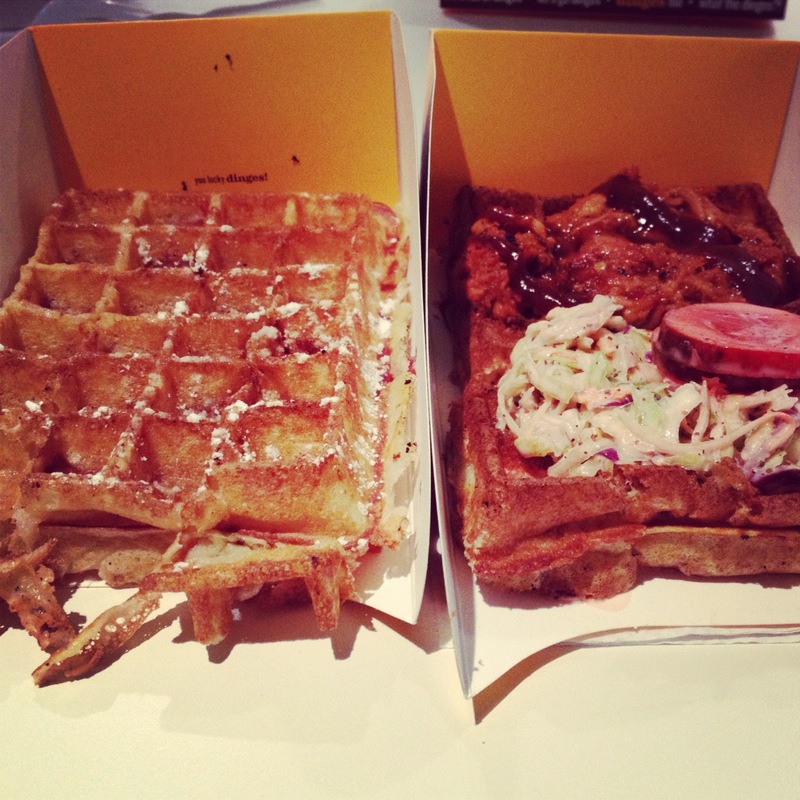 Our wafels & dinges were delicious. I even got some sticky dinges on my desk, but didn’t mind one bit. Our next planned food truck run is Korean BBQ. Can’t wait!